Retreating after Battle of Guilford Courthouse, en route to Wilmington, passed near here with his army in April 1781. By the winter of 1780, the principal objective of British strategy in America was to conquer the southern colonies. 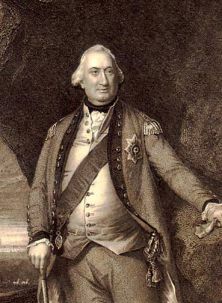 Since capturing Savannah in 1778, the British had total control over Georgia. In May 1780 Charleston fell, and the following August, Major General Charles Cornwallis, destroyed an American army led by General Horatio Gates, the “hero” of Saratoga. After trouncing Gates’s force, Cornwallis turned his attention towards North Carolina, convinced that the remaining southern colonies would fall like dominoes. In September 1780 he entered North Carolina. British patrols ranged through the countryside foraging for provisions and taking any livestock found. 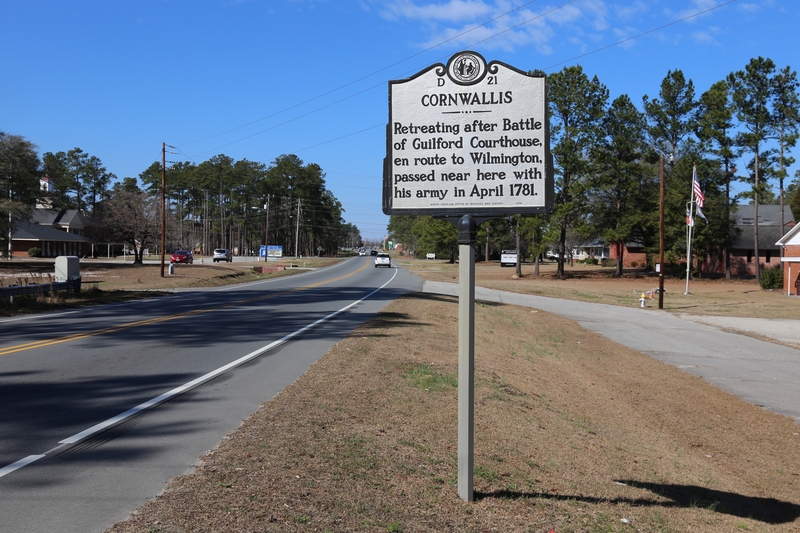 On September 20, William R. Davie, a North Carolina militia officer, attacked one of Cornwallis’s patrols at Wauchope Plantation in Union County. Six days later Cornwallis’s advance guard engaged and pushed aside North Carolina militia at the Battle of Charlotte. 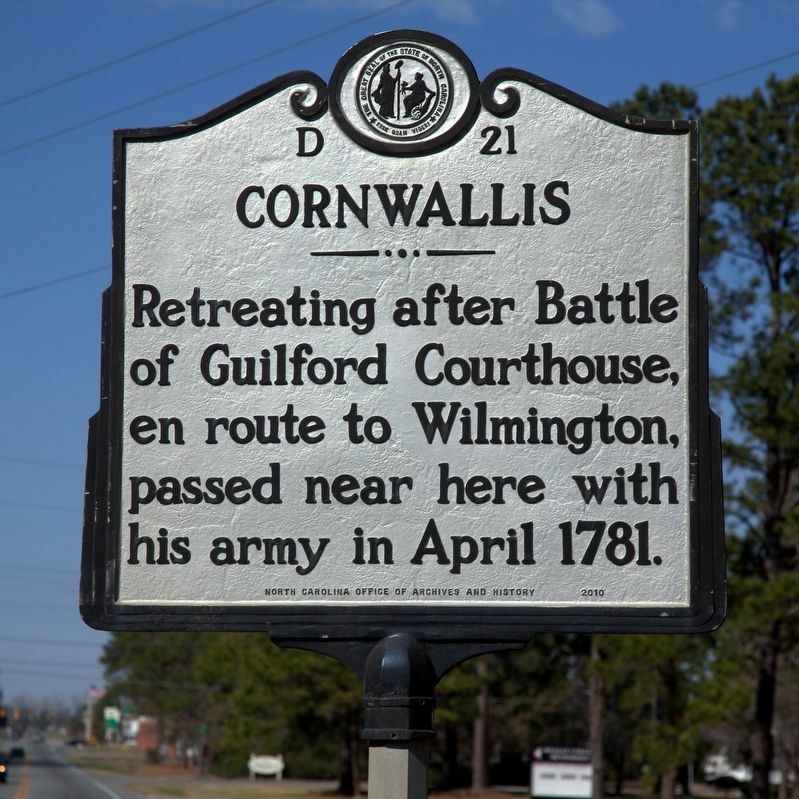 After the encounter at Charlotte, Cornwallis returned to South Carolina, sending two expeditionary forces out from the main army. The first group, led by Patrick Ferguson and consisting of mostly Loyalist provincial troops, was destroyed on October 7 at the Battle of Kings Mountain by a force of American militia from Georgia, the Carolinas, and Virginia, including “overmountain men” from the backcountry. The second, larger force, a mixture of both Loyalists and British regulars and commanded by Banastre Tarleton, fell to an American army commanded by Daniel Morgan at Cowpens in South Carolina on January 17.